Cygnus Technologies, LLC. provides the biotechnology and biopharmaceutical industry with products and analytical methods designed to accelerate the R&D phase and improve the quality, purity, and safety of their biopharmaceuticals. Our products expedite process development and optimization, reduce time to market, lower R&D overhead, and reduce QC costs. As experts focused in the highly sensitive analytical technology of immunodetection for biotechnology applications, our products and services have, for over 25 years, been implemented by virtually all major biopharmaceutical companies. We offer a comprehensive menu of well-qualified, convenient-to-use microplate ELISA methods to detect host cell proteins from specific recombinant expression systems and bioprocess impurities used in culture media, as well as transgenic expression systems in goats and cattle. We develop and routinely use cGMP methods to manufacture ELISA and western blot kits for the detection of impurities specific to more than 50 different expression systems. 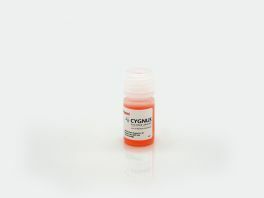 Use our extensive list of ancillary reagents to help you develop and validate your product and process-specific assays.